Broad bean, Vicia faba, is an annual plant that has been known to be in use in the (modern day) Israel area since around 6,500 BC. This vegetable is easy to grow and produces crops as early as mid-June. Broad beans are rich in proteins, and are extremely nutritious. The plant is also called by the name Fava in the United States, and is often included in lists of the easiest vegetables that can be grown in the garden. The broad bean plant is also liked for its flowers, which attract bees for pollination. The flowers colours vary not just between different varieties of beans, but in different plants as well. Nowadays, it is common place to see plants with vibrant yellows, reds, lilac or white variants; the most common however, are the two-color variants which are black and white. Broad Bean Flowers by Rebecca Kahn. Broad/Fava beans are very tolerant to the type of soil they grow in, though they prefer to be planted in soils that are deep and free draining. Most soils are perfectly adequate for broad beans as long as they are do not become water-logged. 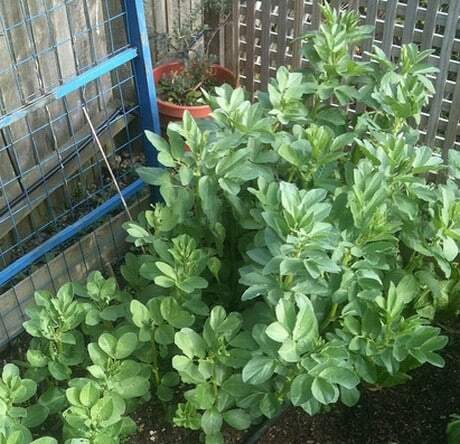 Broad beans have a preference for a sunny site that is not exposed to high winds. Most variants grow to be about four feet (1.2m) high, and they form a dense barrier of foliage. Growing Broad beans by Richard. It is important when growing broad beans that they be planted with the right spacing for best results. Sow broad beans one inch (2.5 cm) deep, and four to five inches (10 to 12 cm) apart. The rows should be spaced at 18 to 30 inches (45 – 60 cm). Once established, thin the Broad bean seedlings so that they are spaced eight to ten inches (20 to 25 cm) apart. For regions with shorter seasons, Broad beans should be first planted in peat pots indoors. Set them out into the garden after the last frost of spring. Before sowing the beans, dig over the ground thoroughly. Although this is not essential when creating a new garden plot, for most crops, digging before sowing is a good practice and produces many benefits for the young plant. Since Broad beans growing is not dependent upon soil type, there is no specific requirement to turn the earth. The best time for Broad beans to be sown in the garden is between February and March, for areas with long summers a late crop may be obtained by the use of a May sowing. By making use of garden cloches, it is possible for beans to be sown in the winter in mild areas. It is advisable to plant excess beans as some plants are likely to be lost due to frost. Free draining soil is vital if attempting over-winter sowing, or this will hinder proper cloches before February. Before planting lots of broad beans, it is advisable to conduct a test crop by planting a few and seeing what happens. Always seal both ends of the cloche run in order to prevent rats, mice and even cats from getting inside, and scratching out the seeds, or eating the plants. Some people sow broad beans in boxes of earth during winter periods so as to reap some of the earliest bean crops of all. This process is then followed by keeping the boxes in the house until they can be transplanted to the garden in the early spring. 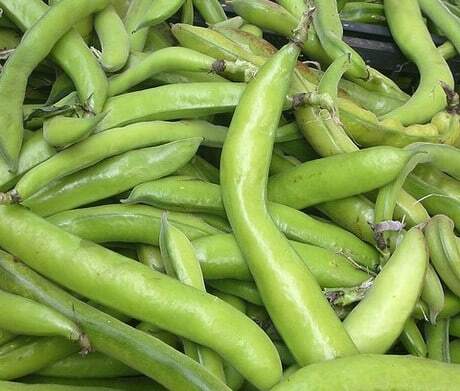 Broad beans come in different variants and it is always ideal to ask which type is best for your area. The three main groups of broad beans are Longpod, Windsor and Dwarf. Longpod: This type of broad beans is easily recognized due to their long, slender pods. They normally have approximately ten beans and the stalk can reach more than 12 inches (30 cm) in length. Windsor: This is the best flavored among all the three groups, but since it cannot stand over-wintering, it is not recommended for sowing in the autumn. Windsor broad beans mature slowly, with an average bean count of only four or five in every pod. Dwarf: This broad bean can be recognized easily from the other groups because they have a bushy growth and short pods. Dwarf beans are the best type for small plots of land as they can grow in single rows. They are suited for growing in cloches because of their height of around 18 inches (45 cm). One of the most common problems when growing Broad Beans is that of blackfly. Select a spot that is fairly sunny and if possible, grow your beans beneath an elder tree as this will draw the fly away from the beans. For those who don’t have elder trees, resort to the tried and tested method of blackfly control, this requires pinching out eight centimeters from the tops of the bean stems once the first beans have formed. Aside from controlling blackfly, this process can also leads to an earlier crop. If blackfly continues to be a pest, even after the removal of the plant tips, spray the crop with a liquid derris or similar. Ensure that the beans or the base of the plant are well watered during dry periods, especially when bean pods are forming. Side shoots from the base of the broad bean plant should be cut off. At the end of cropping the plants should be taken out for the soil. This is because when plants are left on the ground following bean production they will produce young sucker shoots, these will impact the amount of soil nutrients available for follow-on crops. Harvest broad beans from the lowest pods once they have been seen to swell inside. The smaller beans tend to be the tastiest, and are also sweeter than larger ones. It is also possible to use whole immature broad bean pods for culinary purposes. 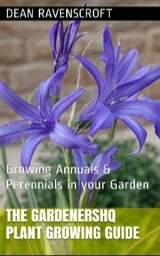 Garden Action; BBC Broad Beans; Harvest Wizard; All about Liverpool: Royal Horticultural Society.